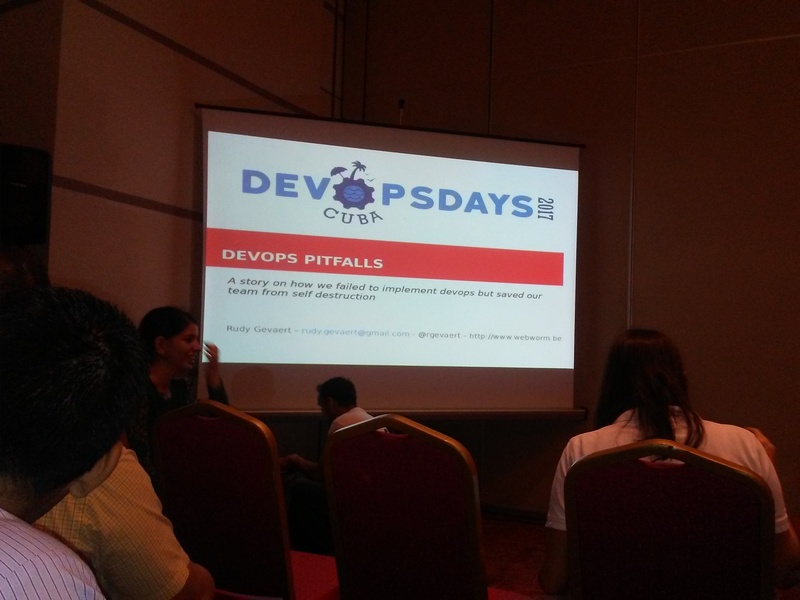 From Monday, Oct 23, 2017 till Friday, Oct 27, 2017 we participated (and co-organized) devops days Cuba 2017. 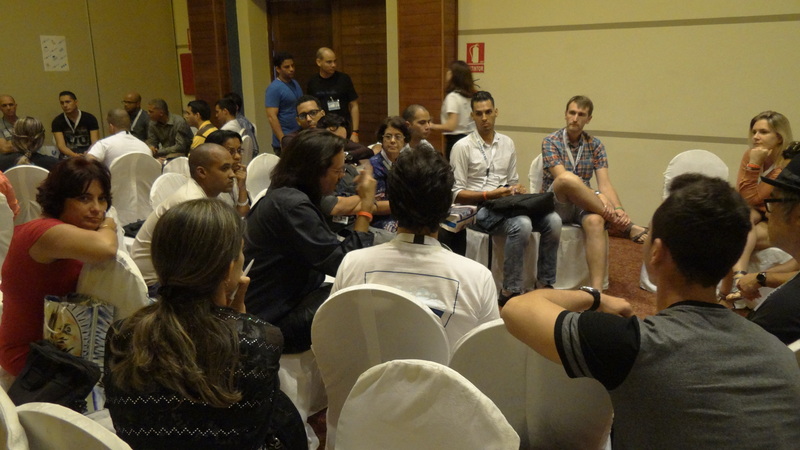 The conference took place in the lovely Varadero at Hotel Melia Marina. The program was packed with international and Cuban speakers. Next to the talks, a workshop about devops essentials was given and several open spaces about different devops topics were held. Our talk was about devops pitfalls. For IT professionals that start their devops journey there are many good talks to take as inspiration. However there aren’t many talks about what can go wrong,. how long it can take to implement devops processes or what to do about it. Our presentation tries to address that. We talk about the many different problems one can face when implementing devops. Hopefully this gave the audience the necessary advice to prevent similar situations. Thanks to you and the entire team that made #DevOpsDays possible! What an amazing experience to collaborate with such awesome people!